This multipurpose orange LED light source utilizes 10 different bright designs for use with optics experiments. Designs include F, H, L, +, t, T, E, 5, and colored block. 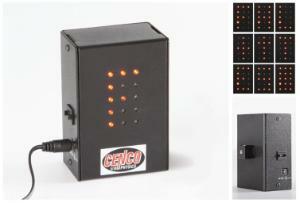 The durable metal case contains 15 LED in a 3 x 5 matrix. Dimensions are 3" x 2" x 4".